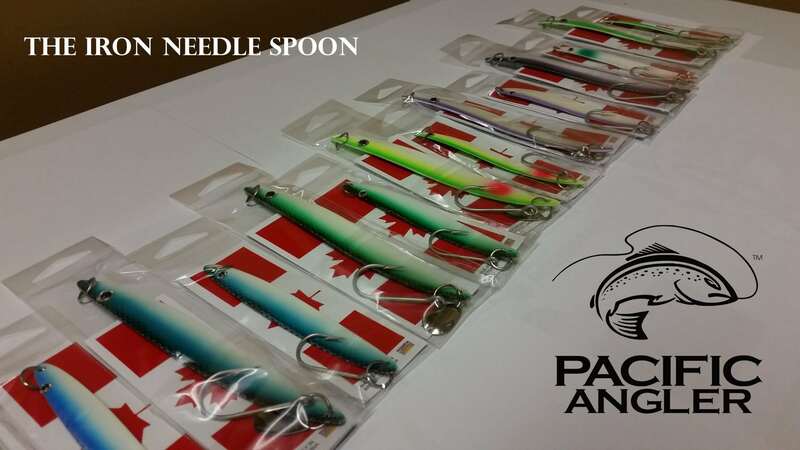 Fishing spoons around the Vancouver area has become very popular over the last decade in part to a number of top guides putting in the time to tweak and perfect their favorite colors, paint recipes and shapes. For the average angler the selection can be overwhelming and much of what you hear is more hype for the fisherman than design for catching fish. The old saying that you could catch chinook on car keys or a bent table spoon is true. I have seen it happen. When an angler who understands the fishery is out on the water he will catch fish on pretty much anything he puts down. That said there is no way to argue that color and shape matters when one spoon in your box out fishes everything else on the boat or even more convincing, when one spoon out fishes everything in a fleet of boats. 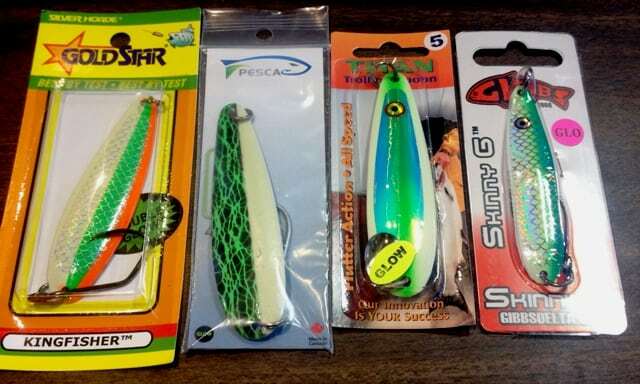 For most anglers, if you have a selection of the above spoons, you are going to catch a bunch of fish. With this in mind I am hesitant to bring in more spoons to the shop. We have one of the biggest selection in Vancouver and we cover most if not all of the popular designs. The only time I get interested in a new product is when it is different. Different for both the fisherman and the fish. The Iron needle spoons fills this bill. They represent a different bait and they also offer a different option for how you fish them. Most of our spoons are designed to look like herring and you will want to fish them with a flasher. This makes sense as herring are the predominate food source in our waters. The iron needle is different. It imitates a needle fish. In the Vancouver area we do not have a ton of needle fish habitat but all of the chinook traveling down from up north will have moved through areas of needle fish habitat. In the last few years there have been reports where fish, for whatever reason, want needle fish and nothing else. The other interesting thing about the large iron needle spoon is that it is popular to fish without a flasher. If you have not experienced a bite when the fish are hitting a naked presentations (no flasher) it is very cool and one hell of a fight. We just got in a big selection of new glow colors as well as a new smaller 4 inch Iron Needle designs. If you want to change it up or try a rod with no flasher, come down and ask the guys to show you the iron needle spoons. If you are heading up north or further afield where you find needle fish in the bellies of your catch, add this spoon to your arsenal. If the fish are on needle fish this spoon is deadly! Enough about gear – On to the fishing! For fishing this weekend, reports are still a mixed bag. There was a good bite at Hole In the Wall last week and into this week but from the last couple days we haven’t heard anything from that direction. This usually means the fish have moved off. We have heard descent reports from Thrasher Rock on the ebb tide and we can expect this fishery to heat up over the next three weeks. If I were going out I would head to Thrasher and fish in the 90-180 ft range. The Club Dub flashers have been hot for this fishery in the past. Historically flashers and spoons with both glow and flash fish well at thrasher because the water is very clear but we also fish quite deep. Green glow hoochies are also very popular. Heading across the straight is always a bit of a gamble with the weather and I wouldn’t rule out the Hump just yet. If the crossing is not an option keep the south Bowen hump fishery on your radar. The hump has been poor overall this year. Boats are constantly catching a fish or two on every outing but be it weather, cod fowling gear or simply no fish, this Hump season has been nothing to write home about. It is still a very viable spot to try for the next 3 weeks. It could light up without any notice, so keep it on your list of spots to check out. 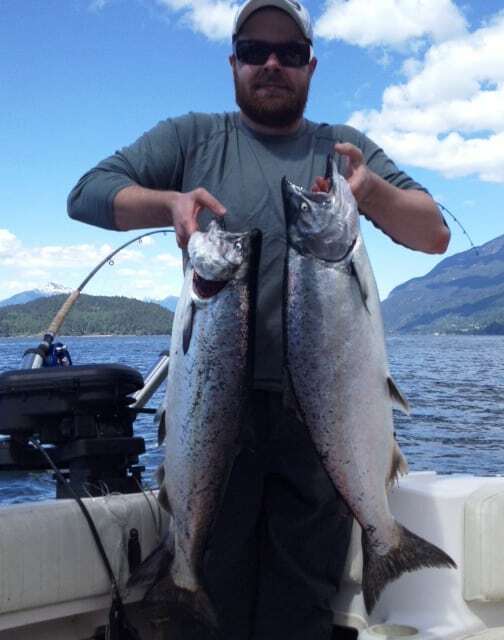 The bell and the QA marker should also be on that list and though it is early the number of coho in the straight his been impressive this season and a pass along the north shore might be worth a exploratory tack.